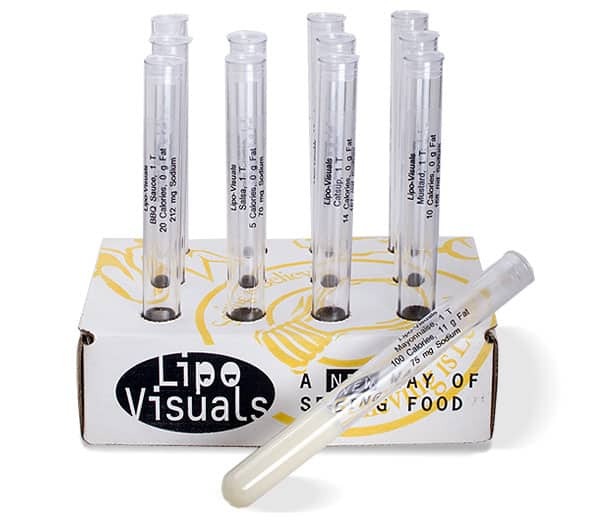 Lipo-Visuals Condiment 12 pack fat tube teaching kits compare the amount of fat in condiments which are often a source of hidden fats in meals. 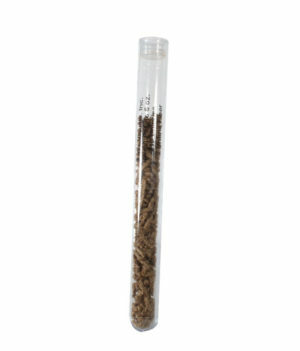 Fat tubes come in a sturdy corrugated cardboard box doubles as a display holder. Each food label states the Calories, Fat grams, Percent Fat, and Sodium. Each fat tube set comes with an instructor handout.